The first few weeks of January are always built up with hope and anticipation and usually followed by a swift culling of the locals from the Australian Open draw. 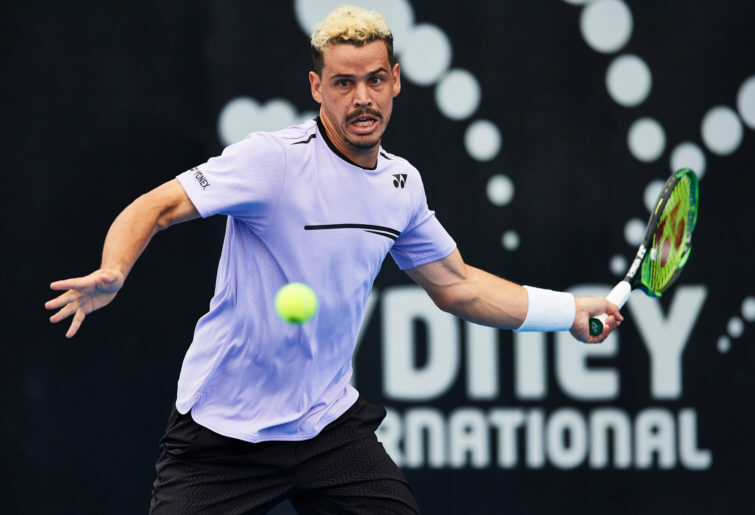 This year was looking to be no different, with the early exits of our more renowned players and infamous personalities, including Nick Kyrgios, Bernard Tomic and Sam Stosur. But despite these Australian headliners falling by the wayside, we still managed to get ten players through to Round 2 this year. Here they are, complete with some some arbitrary ratings of their performance out of ten. Thompson played two of the older players in the draw – first recording a straight-sets win over Feliciano Lopez and then going down in a tight loss to Andreas Seppi. 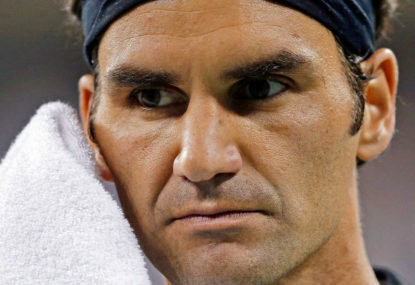 His commanding Round 1 win (6-1, 7-6(7-0), 6-3) was made possible by a very strong 74 per cent first-serve percentage, of which he converted 82 per cent. Although he lost in Round 2 to Roberto Bautista Agut, Millman receives five points. The poor man played almost six and a half hours for his two matches. He kept his unforced errors down against Argentina’s Federico Delbonis, lifting his winners against the Spaniard and pushing him to five sets. He was unlucky to not get it done after coming back from two sets down. Ebden got off to a slow start against Germany’s Jan Struff, managing only one game in his first set of the competition. He never really dominated Struff, but he managed to win points in the clutch moments to take the match. His next assignment was Rafael Nadel in Rod Laver Arena. He played a valiant first set and occasionally dazzled in the others but the result was never going his way. Curently ranked No.230 in the world, Sharma was one of the several Aussies to defy expectations. Fighting hard through the qualifiers and then battling past fellow Australian Priscilla Hon will help Sharma rocket up the rankings. She appears to be comfortable coming up to the net, doing so successfully 26 times, which was almost double what her two opponents even attempted. Before succumbing to Germany’s Alexander Zverev in Round 3, Bolt achieved great career milestones against France’s Giles Simon and tricky USA customer Jack Sock. Bolt showed great composure, particularly against Simon, to close out a gritty five-set match. Although Zverev appeared to be too much, don’t expect to see Bolt ranking in the 150s for much longer. Hives held her own against Caroline Garcia, but she failed to protect her serve from the world No.19 from France in the same way she did in Round 1. Ranked slightly better than Bolt at No.149, Popyrin managed to go just as far into Round 3. Popyrin managed to beat the other Zverev, Alex’s older brother Mischa, and then gain the upper hand over Dominic Thiem from Austria. The class and tenacity of Popyrin was most on show, however, in his five-set loss to Lucas Pouille of France. Alexei was unlucky not to walk into Round 4 with higher first-serve and first-serve win percentages than the Frenchman. 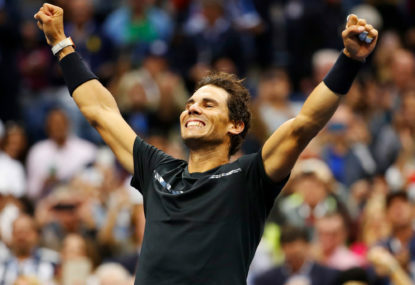 At the age of 19 and standing at the heigh of six and half foot-long subs, the 2019 Australian Open will not be the only highlight of his career. Birrell progressed through the rounds thanks to strong serving in the first two rounds, particularly against Croatia’s Donna Vekic, the world No.29. The less said about her Round 3 match against world No.2 Angelique Kerber, the better. The Sydney International winner did what was expected of him but couldn’t do the impossible. Although in hot form, De Minaur came close to an upset at the hands of Henri Laaksonen, needing five sets to finally conquer the Swiss. Against Nadal, who has made a habit of knocking out Australians, De Minaur could not convert any of his four break-point opportunities. With another draw, it certainly seemed likely Alex would go further, but not this time. 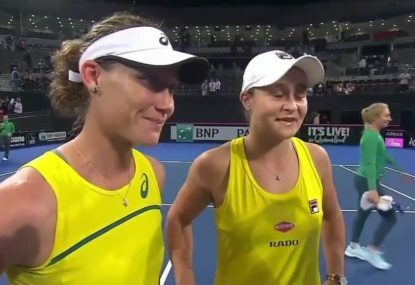 It was probably no surprise that Barty went the furthest of any Australian at this year’s tournament. She holds the highest ranking of the Australian players at No.15 and was also on hot form coming out of the Sydney International. Barty was finally knocked out by Czech Republic’s Petra Kvitova, who was the same foe who beat her for the Sydney crown. Barty still had a great tournament, reaching the quarter-finals of a grand slam for the first time. She also knocked out the talented and experienced Maria Sharapova after being down a set. These are all great signs for Barty, who will hopefully have an explosive year. She also watches cricket to wind down between matches, which is a tick in my book. The 2008 Wimbledon final between Roger Federer of Switzerland and Rafael Nadal of Spain will go down as the greatest match in the history of tennis’ Open Era. Where's the love for the Fed Cup? Australia’s female tennis players have a historic opportunity when they take on Belarus in the semi-finals of the Fed Cup this weekend. But you’d be forgiven for not having it on your radar. At the Miami Masters, Roger Federer won his 28th Masters 1000 title and his 101st title overall with an efficient 6-1 6-4 win over the giant American John Isner. 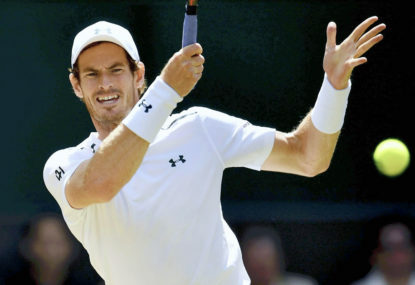 The men’s tennis final at next year’s Tokyo Olympics will change format to a best-of-three tiebreak sets instead of five, the International Tennis Federation (ITF) has announced.